Stevensville, MD (October 4, 2017) –The U.S. Department of the Interior (DOI) Business Center (IBC) announced on September 21, 2017, that Federal Resources is an awardee under a $3B contract to supply products that will support the planning, design, implementation, and maintenance of field communications solutions. The contract is a Multiple Award, Indefinite-Delivery/Indefinite Quantity (IDIQ) contract that has a five-year base ordering period plus two 1-year option periods. This contract adds to Federal Resources’ existing portfolio of contracts that now brings the company’s total U.S. government contract ceiling to nearly $20B. The IBC contract will be available for use by DOI and other federal agencies including the Department of Homeland Security (DHS), Department of Justice (DOJ), United States Department of Agriculture (USDA), Department of Defense (DOD), and the Department of Energy (DOE). 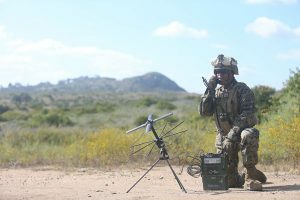 This contract provides a turn-key solution for a variety of field communications hardware and software products, such as multiband radios, as well as communication solutions for aviation and maritime. “The IBC contract allows us to provide solutions for mission success and enables us to support our customers in the field with the most advanced and innovative communications products. It enhances our current contract offering and gives us the ability to execute a wider variety of requirements for customers,” said Robert McWilliams, CEO of Federal Resources. Federal Resources will have its field communications products on display at AUSA in Washington DC between October 9-11, 2017 at booth 7153. The IBC is a federal shared services provider that operates under a fee-for-service, full cost recovery business model, offering Acquisition, Financial Management and Human Resources systems and services to federal organizations. For more than 30 years, IBC has supported federal agencies by providing business solutions that allow them to focus on their core missions. Currently, the IBC serves over 150 different federal organizations, including the Department of the Interior. To carry out its mission more effectively, the IBC conducts operations in seven states: Alaska, Arizona, California, Colorado, District of Columbia, Idaho and Virginia.